Christina Morales got sideswiped in a small-time fender-bender with another car. What came next was typical: Getting the insurance company’s approval to pay for a rental car and then driving the rental car while the old car was in a body shop for repairs. For Morales, a 29-year-old nurse, this little chore ended badly. She found herself in a faceoff with Enterprise Holdings, owner of Enterprise Rent-A-Car, the rental company she used. EH also owns Alamo Rent A Car and National Car Rental. She knew that was wrong. She was never in an accident. She began to research on the Internet and found dozens of similar customer accounts. As readers of The Dallas Morning News Dave Lieber Watchdog column first learned,, she found the work of my predecessor, Problem Solver Katie Fairbank, who wrote a series of columns about customers who claimed the same. I’ve studied and written about other people who said they were charged for accidents they didn’t know about, too. A close examination of Morales’ case shows the company is breaking its own protocols for handling these situations. EH executives are aware of public criticism of their damage claims units, but they say they must protect their fleet. Or in the case of Morales’ rental, a series of mistakes. Conrad Cavallini talked about a new initiative to soften the blow. An Enterprise representative is now required to call a customer “to reach out and discuss” a claim before paperwork is filed. That didn’t happen with Morales. No one contacted her until she got the claim letter last month. Conrad Cavallini said she wants customers to reach out to the company when they discover serious problems. Nobody answered Morales’ letter laying out her facts and seeking information from the company. “I would have had to drive to South America three times,” she said, when she only used the vehicle for a daily 40-mile roundtrip commute. The return slip states in large, handwritten letters, “No damage on truck.” Yet she was charged for damage two weeks after the truck’s return. She questions whether the photo of proof the company sent her is of the truck she rented. Other Enterprise customers have told me that the company sent them a photo of a damaged car different from theirs. The company blames the confusion on this: Morales’ mother dropped the truck off at the end of two weeks. The company said that’s against the rules, but Morales said she called the branch office and received permission for her mother to drop off the car. After The Watchdog intervened, the company released a statement: “What happened is that an unauthorized driver (the renter’s mother) returned the car and confused our employee, and, as a result, the employee failed to point out the visible damage at the time. 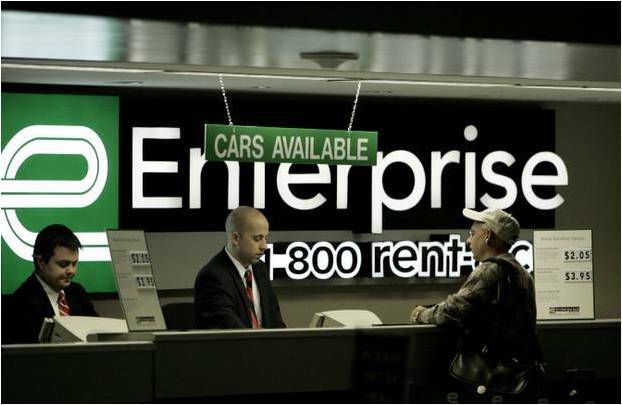 The Dallas Morning News reported in March that half of all car rental complaints at the Texas attorney general’s office in recent years came from Enterprise customers. My take: When picking up a car, make written notations on the company paperwork of all damage found. Keep a copy. Also, when picking up and dropping off, use a smartphone camera to video record and photograph all angles of a car. TIP: How to fix this problem: Watchdog Dave Lieber suggests if you have this problem, file a complaint with: 1) the Missouri Attorney General, 2) the attorney general of your home state, 3) the Better Business Bureau, 4) the Federal Trade Commission. And remember to always take photos and video of your rental car both BEFORE and AFTER your rental. 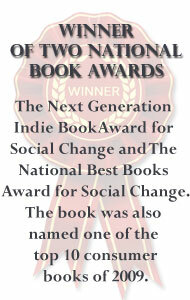 A school is mistreating your child, and you want to learn more so you can fight the system. The Dallas Morning News The Watchdog columnist Dave Lieber shows you how to file an open records request. The Watchdog Video Tip of the Day, produced by DallasNews.com, is designed to solve a problem in less than a minute. See more free Watchdog reports here. A debt collection company calls and threatens to have a debtor arrested and thrown in jail. That’s not legal and The Dallas Morning News Watchdog columnist Dave Lieber tells you what to do. 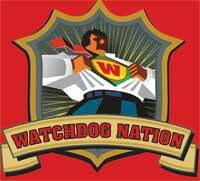 Check out more of our Watchdog reports. Here I am, The Watchdog, solving the mystery of the Texas front license plate. If your vehicle doesn’t have a front license plate, or a rear one for that matter, as of September 1, 2013, you’re looking at a $200 fine. Which leads to another amazing discovery I made while solving the mystery of the front license plate. (More news coming!) For the past two years, until Sept. 1, 2013, any motorist in the state of Texas who was stopped for not having a front or rear Texas license plate could not be fined. That’s right. Not be fined. 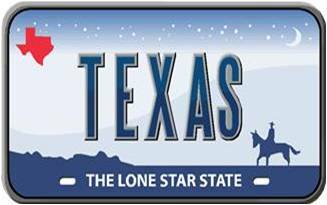 In Texas, a law enforcement officer is allowed to stop any vehicle if a front or rear license plate is missing. It’s the same as an officer making a stop when a driver runs a stop sign, makes an improper lane change or, everybody’s favorite, drives too slow. As readers of The Dallas Morning News Dave Lieber Watchdog column first learned, now, with the punishment tacked back on to the law, the fine for a missing front or rear plate is specifically set at no more than $200. The mystery of the front plates in Texas came up when I mentioned it in a recent Watchdog report that the license plate law is a personal pet peeve. If Texas requires a front plate, why is the law rarely enforced? The result is a lot of cars without front plates. How come they get away with it? Either enforce the law or dump it. I see it as a safety tool that helps eyewitnesses and law enforcement identify the bad guys. Front plates double the chance for a clear ID of, say, a hit-and-run driver, a child molester or a killer. Drivers, including Corvette and Prius owners whose cars don’t come with ready-made front license plate brackets, tell me they are concerned. Hey, nobody wants to drill holes in their beauty’s front hood. Car and truck owners without front plates may now be rushing out to Pep Boys for brackets. Or they could be running to their favorite auto parts website for the right make and model number. Yep, it’s my personal pet peeve, but please don’t blame me. Who then? I looked up the recorded vote this year for House Bill 625, author, Rep. Linda Harper-Brown, R-Irving. The state Senate voted 31-0 for the new law; the House voted 139-4. I talked to representatives of the San Antonio and Houston police departments who lobbied for it. Summarizing, they said both front and rear plates make it easier and safer for police to do their jobs. With a money fine back in the law, San Antonio police Sgt. James Jones says he expects more officers to make no-front-plate stops. “That would be enough to pull somebody over,” he said. “That is a traffic violation.” Officers will check for driver’s license, insurance and any outstanding warrants, he says. I understand there are people across Texas who will not believe this is happening, people who’ve driven without front plates for years, and yeah, the Corvette and Prius owners. There’s a bit of urban folklore about front plates in Texas. Considering the bungling in state law that was corrected, that’s no surprise. But let there be no doubt. The law is clear. As of Sept. 1, 2013, it is required that all registered vehicles, including commercial vehicles, must display both front and rear plates. Watchdog Video Tip of the Day: Somebody stole your mail? Somebody stole your mail? Who do you report the crime to? The Dallas Morning News Watchdog columnist Dave Lieber has the answer. See more Watchdog tips at The Dallas Morning News Watchdog Desk here. This could have been a Watchdog report about how a congressman’s office messed up. If that were true, nobody would be surprised. But it’s not. Life in this low-rated 113th Congress is apparently so difficult for all involved that when I told the congressional office that this was a positive story, at first, they didn’t believe me. It begins when I hear a complaint from Kala King of Garland. Her 80-year-old mother breaks her hip and receives physical therapy through home health care. The agency providing PT charges $1,200 for six sessions. But Medicare pays $2,083. “Medicare paid nearly twice the amount that the agency billed the claim for,” King tells me. Believing it’s a computer error, King calls Medicare to let them know they paid too much. What she hears surprises her. The Medicare representative tells her that there’s a standard amount of payment for such a service, and the system automatically pays that amount no matter the actual billing amount, even if it’s higher. King says she contacted her congressman, Rep. Pete Sessions, R-Dallas, but she never received an answer. Instead, she says, she starts receiving Sessions’ newsletter. News of this kind aggravates The Watchdog. When you contact elected officials, The Watchdog believes, they should respond in a timely and accurate manner. But when King tells me she contacted Sessions through his website, I realize that’s the problem. Website communication with any government agency is often a big fail. Nothing works better, I believe, than a phone call or, even better, an actual office visit. Give a face and name to a problem. I suggest to King that she get in touch with a Sessions caseworker in person. 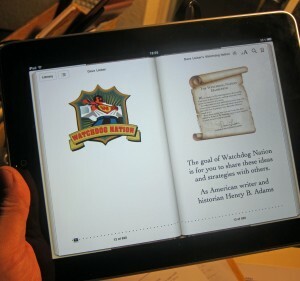 As readers of The Dallas Morning News Dave Lieber Watchdog column first learned, I decide to follow this journey. This is like mystery shopping a government office, similar to the way major companies send secret shoppers into their retail stores to see how shoppers are treated. Can King get a straight answer? If she can’t, you’ll know in another negative story about the 113th Congress that will surprise nobody. 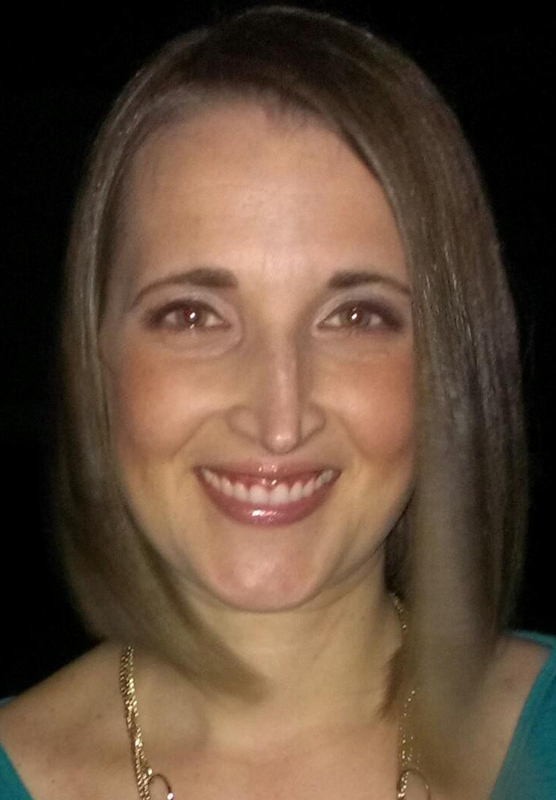 Sessions caseworker Jennifer Lang of the Dallas office is assigned the case. She is the Medicare and Social Security specialist. It takes several weeks of back and forth with the Centers for Medicare & Medicaid Services, but Lang gets an explanation. She tells King. King tells me. Now I’ll tell you. Medicare uses something called a “prospective payment system” to make these payments. The services involving home health agency visits are bundled. So even though the only service King’s mother receives is physical therapy, it’s bundled with other services such as nursing, occupational therapy and speech-language therapy that she does not receive. A Medicare official tells the congressman’s caseworker that sometimes the billing amount comes in low and, as happened with King’s mother, the payment is higher. Other times, the billing amount is high, but bill payment is lower. Either way, the Medicare official explains, they cancel each other out. Really? The Medicare official explains that this system is better than the old system, which paid per visit. The problem was that service agencies had a financial incentive to make more visits, even if the visits were unnecessary, so they could make more money. The new system is supposed to cut back on that kind of abuse by creating standard payment amounts. At least, that’s the logic. King isn’t pleased with the answer. She believes, frankly, that it’s dumb to overpay. Why not simply pay the billed amount, whatever it is, rather than a fixed charge? Why not cap the amount? Why not depend on a doctor’s letter to determine what’s needed? Those are King’s ideas. But Medicare makes the rules. What I like is that King gets her answer in detail. This is what the Founding Fathers imagined when they created a U.S. House. Hundreds of representatives from small districts across the nation, running for election every two years, accountable to the people. We all know it often doesn’t work that way. Medicare announced in June that it’s changing some of its payment rules next year. Medicare payouts to home health agencies are about $18 billion a year. The changes will save about $290 million. That’s a drop in the bucket. At least it’s something. I wanted to tell you about Kala King, the asker of questions, and Jennifer Lang, the answerer, because this is the way representative democracy is supposed to work. Too bad that alone is today’s world is enough to muster special attention. Here’s an alert to all federal, state, county, local and school district officials: You never know when a constituent asking you for help is actually a mystery shopper for The Watchdog. I’ll be doing this again. And again. When you want to battle your government on a big issue, The Dallas Morning News Watchdog columnist Dave Lieber shows you how to use social media. The Watchdog Video Tip of the Day, produced by DallasNews.com, is designed to solve a problem in less than a minute. Read more Watchdog reports at DallasNews.com/watchdog. The Watchdog: Is this the worst electricity company in Texas? The worst electricity company in Texas. That’s what state regulators are calling Proton Energy of Fort Worth. They say Proton, which serves homes and businesses, botched almost everything that an electric company must do. The Public Utility Commission of Texas wants to shut down Proton — the second time it has tried to close the 4-year-old company. The PUC also wants to fine the company $2 million. PUC investigators say they can prove that Proton committed at least a thousand violations. That’s a lot of mistakes, even for an electric company. Proton’s lawyer says that the company is correcting mistakes and that state regulators are too aggressive. It’s no secret that in the decade since electricity was deregulated in Texas, there have been good companies and bad companies. But Proton may be in a class by itself. For one thing, the address for its corporate headquarters, state records show, is a Shell gasoline station at the corner of Jacksboro Highway and North University Drive. Station owner Ramzan R. Ali is also president of Proton, which by my estimate has more than a thousand customers spread from North Texas to Houston. As readers of The Dallas Morning News Dave Lieber Watchdog column first learned, Ali runs a company that if not deceptive in its marketing is confusing. An electricity shopper on the Internet who arrives at Proton’s website sees what is probably the lowest variable rate offered anywhere in the state — 5.8 cents a kilowatt-hour. But check the fine print details on the Electricity Facts Label, and the true cost could be as much as a nickel higher. There’s no Electricity Facts Label on the website, as required, for the company’s second option, its three-month fixed-rate plan. And embarrassingly, on the website’s home page, the universal abbreviation for kilowatt-hour — kWh — is wrongly displayed as kwH. Here’s the PUC’s case against the company. At least 407 times, the PUC charges, Proton disconnected customers for nonpayment of their bills without giving them proper notice. Twenty-nine of those disconnects came during extreme weather (too hot, too cold), making them doubly illegal. Proton officials prevented at least 288 customers from obtaining electricity elsewhere after they left Proton by inaccurately listing them as switch-holds. 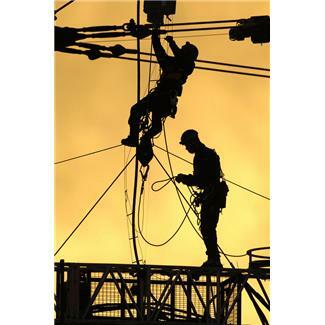 In a switch-hold, a customer owes money to a company and can’t switch to another company until the debt is paid and the hold is lifted. The PUC says the customers didn’t owe Proton money, but the average time people were wrongly kept on switch-holds was 317 days anyway. When asked about this, Proton provided the PUC with false and misleading information, the PUC states in its petition to revoke the company’s license. Proton charged 200 customers sign-up fees ranging from $75 to $100, illegal in Texas. The PUC said Proton ignored PUC inquiries on some customer complaints, failed to file a required semiannual report, didn’t translate its marketing materials into Spanish, didn’t make its terms of service available on its website, failed to provide a toll-free number and didn’t include a way for new customers to leave their names and addresses on its website. There’s more, according to the PUC. Proton listed the termination fee for its variable month-to-month plan at $1,000. There’s usually no termination fee for that. The company kept billing customers even when they had moved to another electric company, sent multiple bills to the same customer in a single month and charged a $2 fee for those who sent their monthly payments via the U.S. mail. Proton’s monthly bills failed to inform customers about the state-run shopping site for electricity customers — PowerToChoose.org. No surprise there. Proton, unlike most Texas companies, doesn’t participate on the heavily trafficked site. Ali, the owner, referred my questions to the company’s hired attorney, Bob Rima, who previously worked as the PUC’s general counsel. Rima said he couldn’t answer specifics because the PUC’s charges do not include actual cases but generalities. The lawyer called the PUC’s action “an aggressive and inflammatory stance.” He said that in a future hearing, which he will seek, he doesn’t believe his former colleagues at the PUC can meet the required burden of proof on the more serious charges. Two years ago, Ali paid a $10,000 fine to the PUC for failing to provide sufficient information about the company’s finances and its technical and managerial qualifications. PUC complaint records show some customers agree. “They are difficult to work with, are not helpful and have not told the truth,” one writes. Somebody wants to take down roadside memorials, but should they? 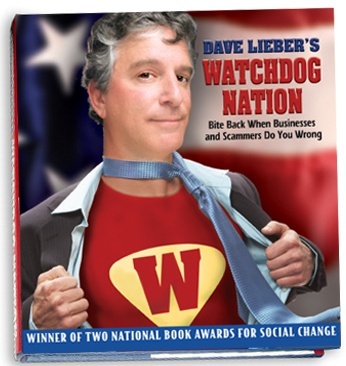 The Dallas Morning News Watchdog columnist Dave Lieber has a few suggestions about what to do. The opinions of Texas bankruptcy judges aren’t usually important to anyone other than anxious debtors and long-faced creditors. But a recent ruling by a federal judge in Dallas deserves wider attention. U.S. Bankruptcy Judge Stacey G.C. Jernigan writes in plain language that she believes Ally Financial Inc., the nation’s top auto finance company, violated federal bankruptcy rules designed to protect debtors. As readers of The Dallas Morning News Dave Lieber Watchdog column first learned, she accuses the lender of improperly harassing debtors who’ve filed bankruptcy to get them to pay off a debt they no longer owe. After seeing evidence and hearing testimony, she concludes that Ally routinely sent form letters designed to confuse debtors in the hope of picking up extra monthly payments. 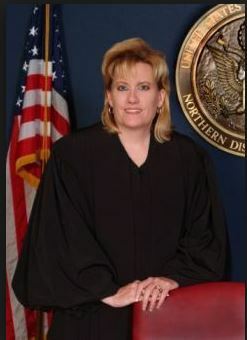 The judge can’t do anything outside her jurisdiction, but she prohibits Ally from sending these letters to anyone living in the court’s Northern District of Texas. She also orders Ally to pay the recipient of the letter $11,000. The judge declined to talk to me for this Watchdog report. Ally slipped past Toyota Motor Credit Corp. this year to become the nation’s top auto lender. The company edged Toyota by only one-tenth of a percent with $67 billion in outstanding loans and leases, according to AutoFinanceNews.net. The bankruptcy case involves a Balch Springs woman’s filing that included a Silverado truck, actually in the possession of the woman’s estranged husband. 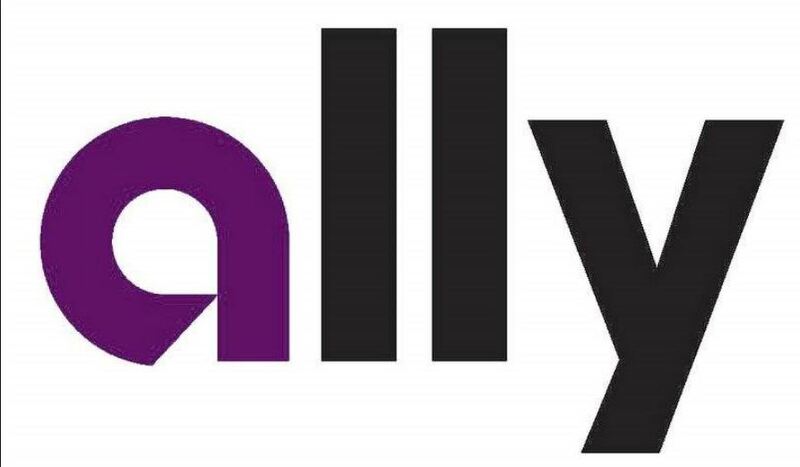 Ally was notified of the bankruptcy and the company was listed as a creditor. But two months after the 2013 filing, Ally sent Tequilla Marie Law a letter with the words “AMOUNT NOW DUE” and “LAST DAY FOR PAYMENT” on the account. “You are late in making your payment(s),” it warned. The amount cited as owed was $6,000 (although the actual balance was $12,000). While some sophisticated debtors would understand they do not have to pay, most would get confused by bankruptcy terms and “legal nuance,” the judge writes. Aside from paying damages, Ally was ordered by the judge to pay legal fees to the winning lawyer, John J. Grieger Jr. of Legal Aid of NorthWest Texas in Dallas. No one from Ally testified on behalf of the company at one hearing, causing a scolding from the judge. When the judge demanded to know more, Ally responded in writing that the letters go to “every debtor” who has completed bankruptcy, who has an account more than 50 days past due, and who is not in possession of their vehicle. 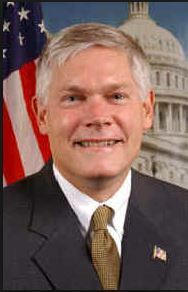 In follow-up testimony, an Ally official said use of the letters began in 2008. That’s what the judge had feared, and that’s what she tries to stop in her ruling, at least in North Texas.